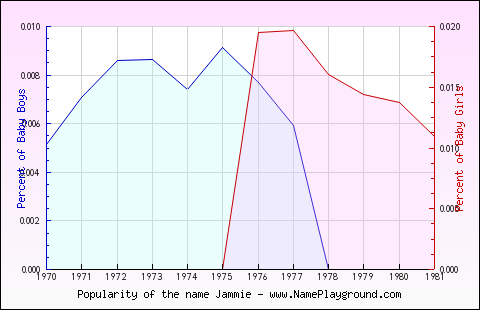 Jammie is a name for both girls and boys. It is used for girls 58.05 percent of the time, and boys 41.95 percent of the time. Names Using All Letters of, and Only Letters in "Jammie"
Names Using Only Letters In "Jammie"
Names Using All Letters In "Jammie"
You&apos;ll be amazed at how accurate this book is about the name “Jammie”!